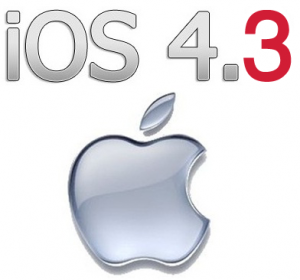 Upgrade to iOS 4.3 without developer account. | Johns iPhone | iPhone Blog with Help, News, Tutorials, Tricks, Tips, and More! Home » iPad » Upgrade to iOS 4.3 without developer account. Upgrade to iOS 4.3 without developer account. Well, Turns out the iOS 4.3 has been let go for all internet users to download and use, it was not an easy job to do so, but it finally happened. For all of you who now want to try iOS 4.3, you can do it for free without executing your UDID and go through that boring, long and requires a developer account. The process is very easy, just download the files for the suitable Device, and restore. 3.Connect your Device to itunes, wait untill your device appears on the side. 4.Click (Windows) shift+Update/Restore (MAC) Alt+Restore/Update button, select the iOS file, be patient until the restore process is done. Congratulations! !, you have iOS 4.3 running on your device. Now if you are trying to preserve your firmware/Baseband, please dont try this, it will not work because it will freeze in the firmware update process.